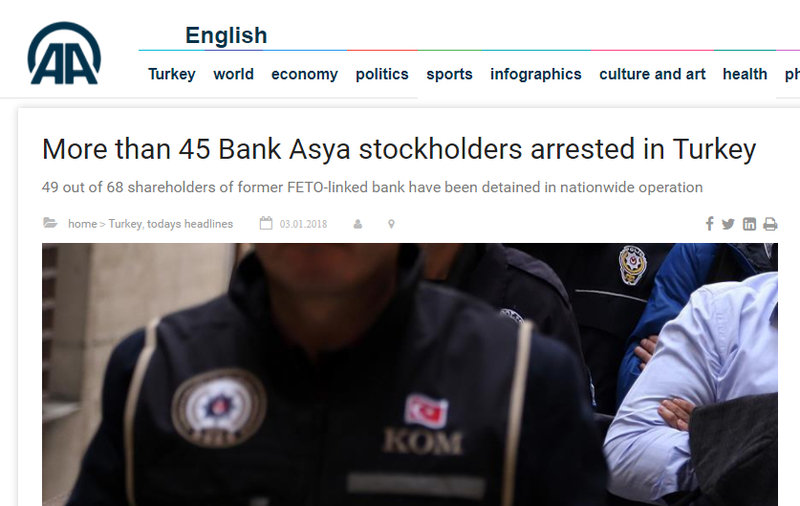 Turkish police on Wednesday detained 49 former shareholders of the now-closed Islamic lender Bank Asya out of 68 for whom warrants were issued over alleged links to the Gülen group, the state-run Anadolu news agency reported. The operation, spanning nine provinces, was initiated by a prosecutor’s office investigating former shareholders who had authority to elect the executive board and make trade-related and administrative decisions. Two of the shareholders are reported to be abroad.